We offer quality Wild Boar hunting for the beginner hunter as well as the seasoned veteran. Hoss Hog has teamed up with local cattle ranchers to now offer more than 40,000 acres of private hunting ground. We pride ourselves in providing a truly great wild boar experience. 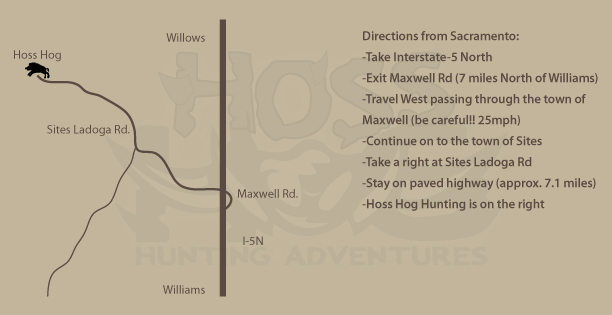 Excellent hunting, beautiful scenery, superior trophy opportunity, pure european bloodlines, hot showers, clean comfortable bunk houses, and short drive are just a few of the benefits you'll find at Hoss Hog. 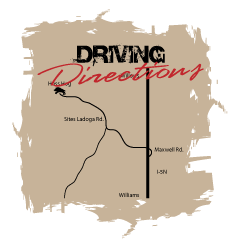 See what others had to say about the ranch in our TESTIMONIAL section. Call or email us to book your hunt today! Book a South Fork hog hunt. South Fork Ranch is over 37,000 acres of working cattle ranches with overnight facilities. 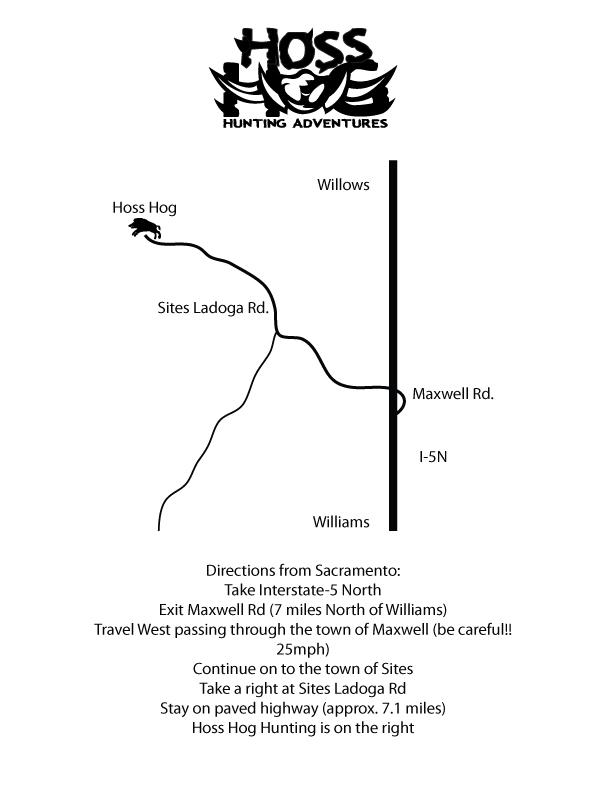 This camp is located west of Willows, CA and has some of the best hog hunting in the state. It is not unusual to see over 50 pigs a day and have 100% kill success. Call or email us to book your hunt today!